New to our growing range of products at ESE Direct are HydroSacks and HydroSnakes. These have been chosen to be part of our catalogue of products because of their eco-friendly properties and their innovative design. 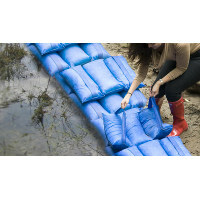 Their primary intended use is as a replacement for traditional sand filled sandbags. Upon being immersed in water these products absorb up to 20 litres of liquid which reacts with the pulp and crystalises to create an instant sand-less 'sandbag'. When HydroSacks and HydroSnakes are no longer required for use they can simply be split open with their bio-degradable contents being safe to empty into the ground. This is not the case with traditional sandbags. Before use, HydroSacks and HydroSnakes are compact in size and require very little storage space. 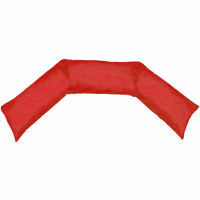 This allows them to be stored in bulk within a small area, ready for use when they are required. Weighing less than 1kg each manual handling is not a problem. 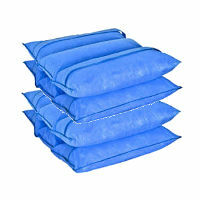 The weight of a full traditional sand filled sandbag is much larger than this which can provide many issues in terms of manual handling and transportation.